Click for pictures of St. Vincent's. 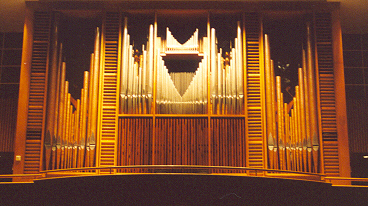 Click for the Rieger Pipe Organ page. St. Vincent's Music Ministry worships year round, typically involving around 70 volunteer musicians. A variety of music ensembles sing at six of the seven weekend Masses Saturday 5 p.m. Music Ministry, Sunday 9 a.m. Music Ministry, 11 a.m. Music Ministry, 12:30 p.m.Music Ministry, 4 p.m. Spanish Choir, 5:45 p.m. LifeTeen Band . 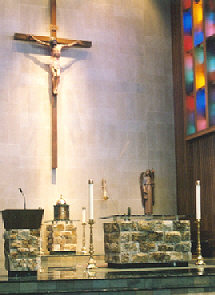 Cantors aid the assembly in musical worship at all Masses with music ensembles, and at the Sunday 7:30 Mass. When one joins one of the music ministry ensembles at St. Vincent's, they find themselves welcomed as the newest addition into a musical family with a long tradition. We have many opportunities for both vocalists and instrumentalists to add their talents to our worship. All we ask of a beginning vocalist is the ability to consistently sing on pitch. You will learn much of what you need to know as you invest your time rehearsing and singing for Mass. Admittedly music ministry will make demands on your time. You will enjoy learning alongside singers who may also be beginners, or who may be experienced volunteers, or who may have had the benefit of extensive training. At St. Vincent's we try very hard to find a place for everyone who feels motivated to participate in music ministry. Click to read our Music Minisrty Brochure. Visit our MUSIC SKILLS page. The 11 a.m. Sunday Mass Music Ministry is the largest ensemble in our music ministry. In addition to supporting congregational singing, these singers also perform choral repertoire, with some emphasis on acappella works. Their choral repertoire ranges from Gregorian chant and choral works spaning various periods of history, to contemporary choral worship music (Click to see active repertoire list). A variety of musical instruments are often used, supported by the pipe organ or other keyboard instruments, to provide the instrumental acompaniment for this Mass. Their rehearsal is Thursday evening from 7:15 to 9 p.m. They assemble on Sunday at 10:30 a.m. before Mass. 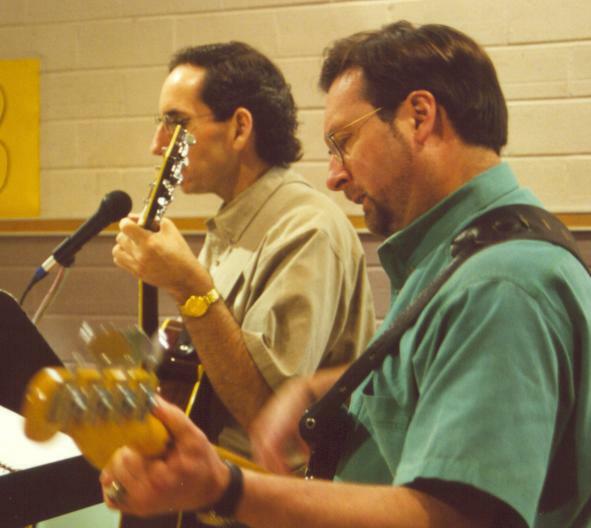 The 9 a.m. Sunday Mass Music Ministry is a contemporary worship ensemble instrumentally supported by guitar, bass, keyboard and vartious other instruments. These musicians rehearse on Sunday at 8:30 a.m. before Mass, after Mass until 10:30 a.m., and on alternating Wednesdays from 7:30 to 9:00 p.m. 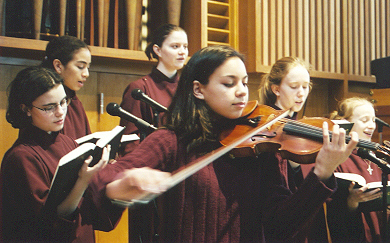 The 12:30 Sunday Mass Music Ministry are Youth musicians who lead the congregational singing and provide music for worship. Currently this youth choir includes both vocalists and instrumentalists, supported by organ and piano. They range in age from upper elementary grades, up through middle school, with even a few in high school. These 12:30 p.m. singers and instrumentalists rehearse before Mass at 12:10 p.m. noon, and usually after the 12:30 Mass. Kathy Hwu and Carla Spolyar direct the young singers. The 4:00 p.m. Sunday Mass Spanish Choir is a worship ensemble of vocalists, guitarists, with piano. For information about rehearsal times please contact Lucy Gardea, Spanish Liturgy Cordinator, through St. Vincent's office. The 5:45 p.m. Sunday LifeTeen Mass Music Ministry is a praise ensemble under the direction Aaron Barta, Lifeteen Music and Liturgy Director. The musians are primarly adult musicians including lead vocalist-guitarist, back up vocalists, drummer, percussionist, and keyboardist. For information on the Life Teen Music Ministry, or the many Life Teen youth activities at St.Vincent's, click on http://www.svdplifeteen.com to visit the LifTeen website. The 5 p.m. Saturday Vigil Mass Music Ministry is a small ensemble of varying composition, that typically can include vocalists and instrumentalists, supported by organ or keyboard. All are experienced or trained singers or instrumentalists. Most of the musicians in this ensemble are also involved in one or more Sunday music ensembles at St.Vincent's. (Click to see active repertoire list). They warm up at 4:30 p.m. before Mass on Saturday and rehearse as part of the 11 a.m. Sunday Mass musicians at the 7:15 p.m. Thursday rehearsal. The Cantors aid the assembly in their musical worship at all Masses. Typically the cantors atl Masses with music ensembles are also members of the specific music ministry ensemble at that Mass. There are several volunteers within each music ensemble who are trained as cantors to lead congregational singing. The 7:30 Sunday Mass has a team of cantors who rotate the ministry of leading song. The 2 p.m. Sunday Baptism Music Ministry typically is a small ensemble of vocalists who sing for the community Rite of Baptism on the first and third Sundays of each month. 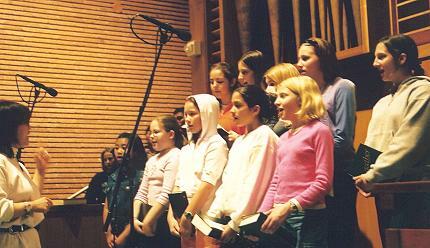 The singers are members of one or more of the other music ensembles. Website authoring and photography by Daryel Nance. © 2001, Daryel Nance; info@daryeln.com.